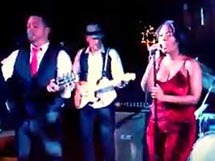 Click to see compilations from our latest live video shoot. No over-dubs, no studio magic. Just a real-time performance. Bill's Toupee is a pop/dance/cover band playing generations of well known dance music that sounds like the original artists live. Beyonce to Bruno Mars, Country to Motown, and most everything in between. With all regular permanent members including 5 vocalists (3 lead singers) we've got great vocal diversity and harmonies. Bill's Toupee Band has done over 1,000 private events! Our goal is simple: we want to make you look good for hiring us! 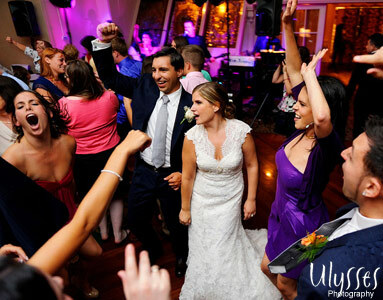 We will emcee and coordinate with your other vendors so you can be in the moment and enjoy your special day. The band comes with full PA and LED stage lighting. Also available is laser lighting, music for your cocktail hour and ceremony, as well as sound for your ceremony and battery powered systems. We are all regular permanent band members. We don't use substitutes. The band you see is the band you get. You'll no doubt run across many bands who bill themselves as the best band in their home area. While that's a matter of opinion, I can tell you that for over a decade there is no band that is more highly recommended by caterers, photographers, and satisfied clients than Bill's Toupee. Take a look at our testimonials page and see. Our job is to make you look good for hiring us! “We can't say enough about how great our wedding was with Bill's Toupee. 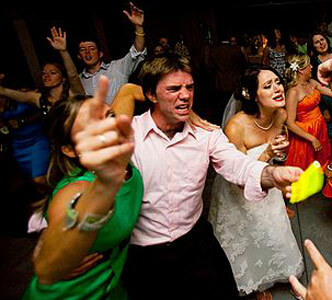 "Best band at a wedding ever"